Vend is a Cloud based Point of Sale system ideal for retail wine sales through your own tasting room or cellar door. 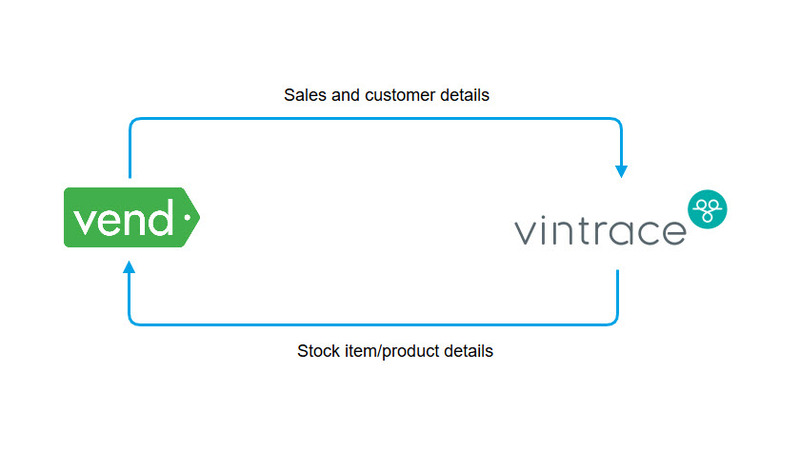 You can automatically sync your daily sales totals from Vend to vintrace. All completed sales for wine products in Vend will generate sales orders in vintrace and calculate any WET/Excise liability. These sales orders, once set as approved in vintrace, will automatically reduce stock levels from your inventory in vintrace. Click here for details on how to generate the API key in Vend. Important: The system user also needs to have an email address set in the address book to receive the email notifications regarding the Vend sync. Go to Winery Setup – Infrastructure – Winery and select the winery you want to link to Vend. Click on Point of Sale setup… link. 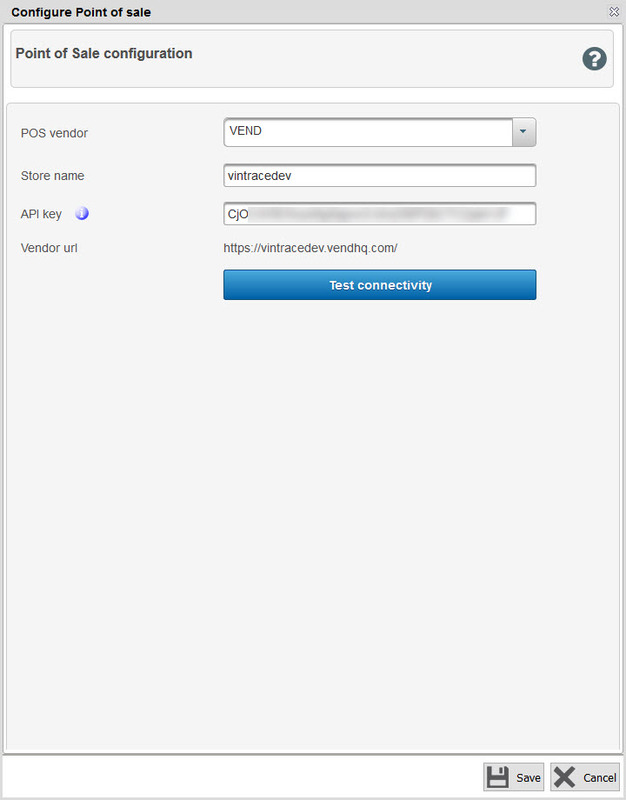 Select VEND in POS Vendor dropdown menu, enter the Vend store name, and the enter the API key. 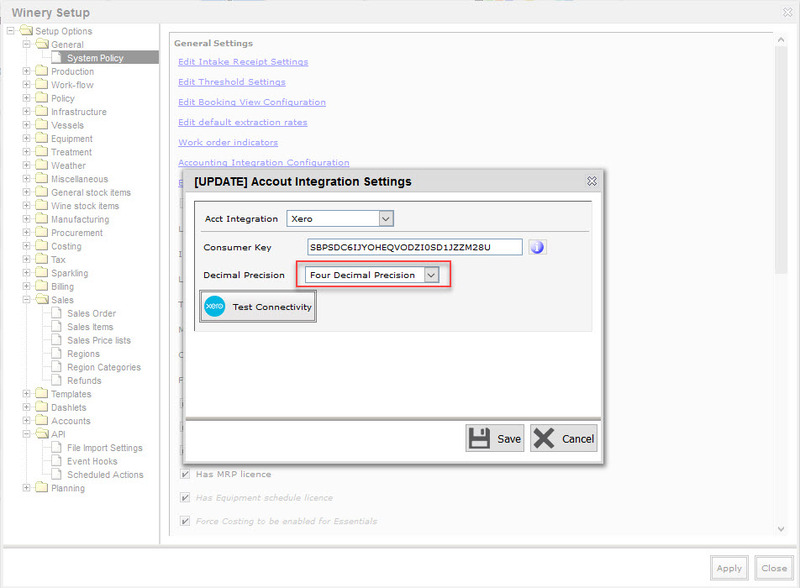 Click here for more details on how to generate the API key. Click on Test connectivity button. Click on Ok button in the Successfully connected to POS dialog. Enter all the necessary information such as Outlet, Staff customer group, Retail price list, etc. Then click on Save button. Outlet – mandatory, the Vend store outlet you want to connect to this winery. 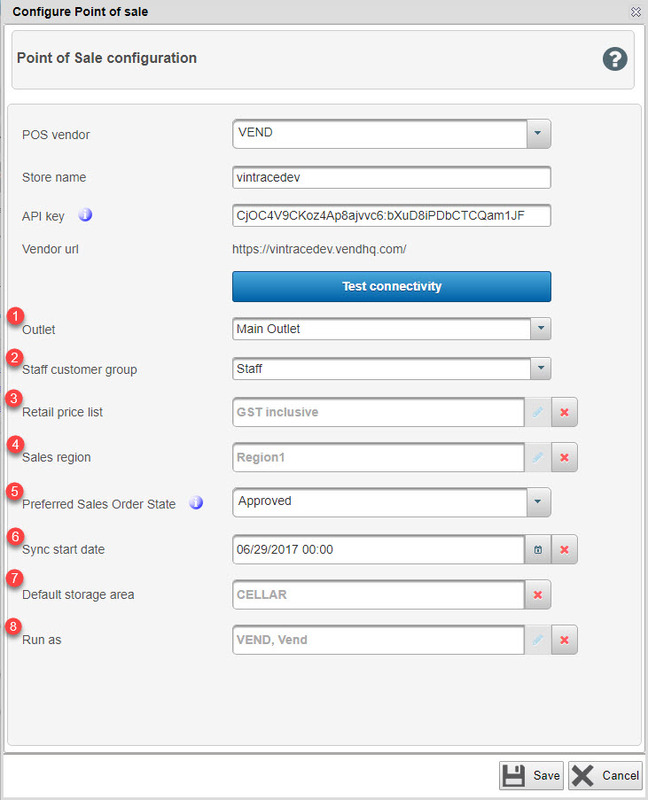 Staff customer group – mandatory, the customer group you want to set as staff where all sales orders created for this customer group will be set as “Staff” sale type in vintrace. Retail price list – mandatory, the price list you want to set for all the sales orders created in vintrace that are synced from Vend. Important: This price list needs to have a Tax inclusive tax policy set. 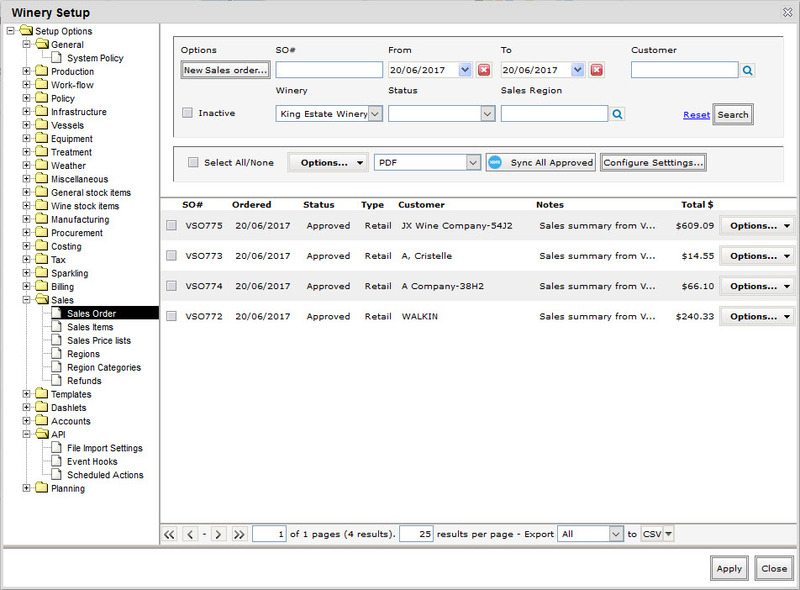 Sales region – optional, the sales region you want to set for the sales orders in vintrace that are generated from your Vend sales. Preferred Sales Order State – mandatory, this is the state you want to set for the sales orders in vintrace that are generated from your Vend sales. 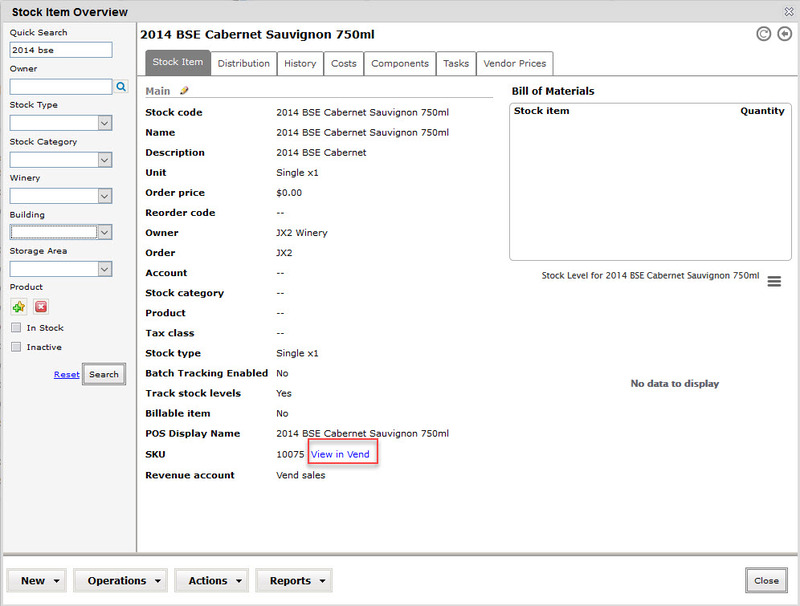 If you select anything other than “Approved” someone will need to manually approve the sales orders in vintrace so stock levels and sales data can be finalised. Sync start date – mandatory, the date of the first sync from Vend to vintrace. Default storage area – optional, the storage area that you want to set for the auto stock receival for refunds in vintrace that are generated from Vend returns. Run as – mandatory, the user id that will be used in syncing the Vend into vintrace. 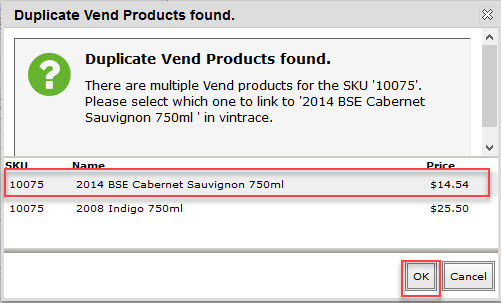 If you are using Vend and Xero that we recommend to use the 4 decimal places setting in the Xero set-up in vintrace. 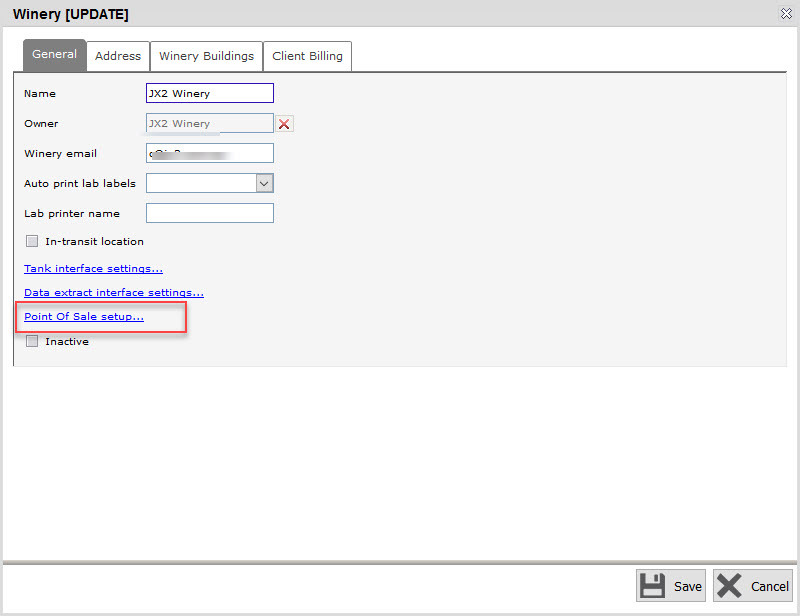 Go to Winery Setup – System policy – Accounting Integration Configuration, set Decimal Precision to Four Decimal Precision. 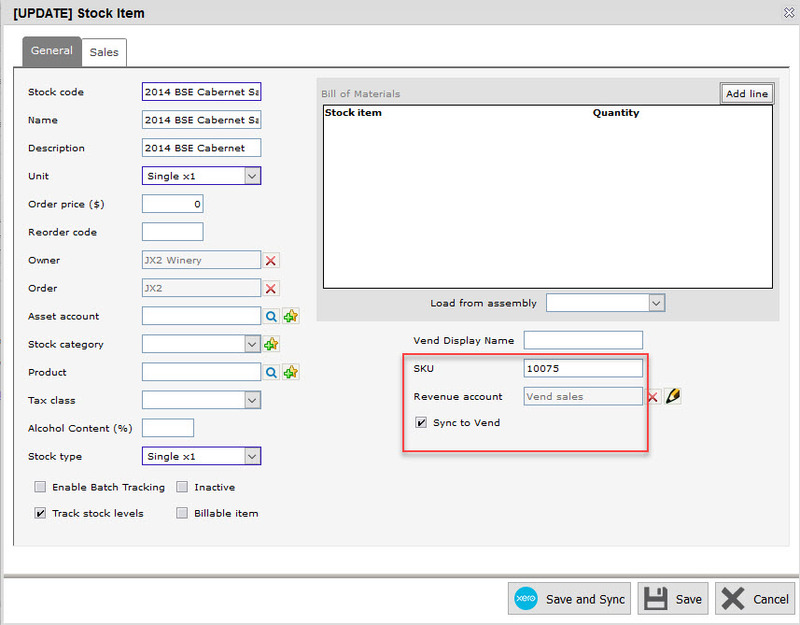 For this example, we are going to sync a Single x1 stock item type. Go to Winery Setup – Wine stock items – Single x1. Click on the stock item you want to sync. 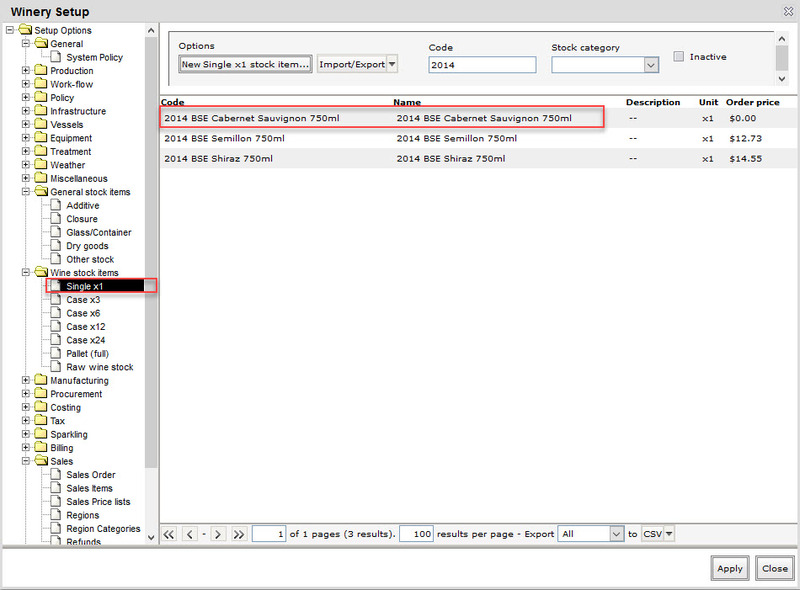 Please refer to this article if you want to sync a stock item to Vend via the importer utility. 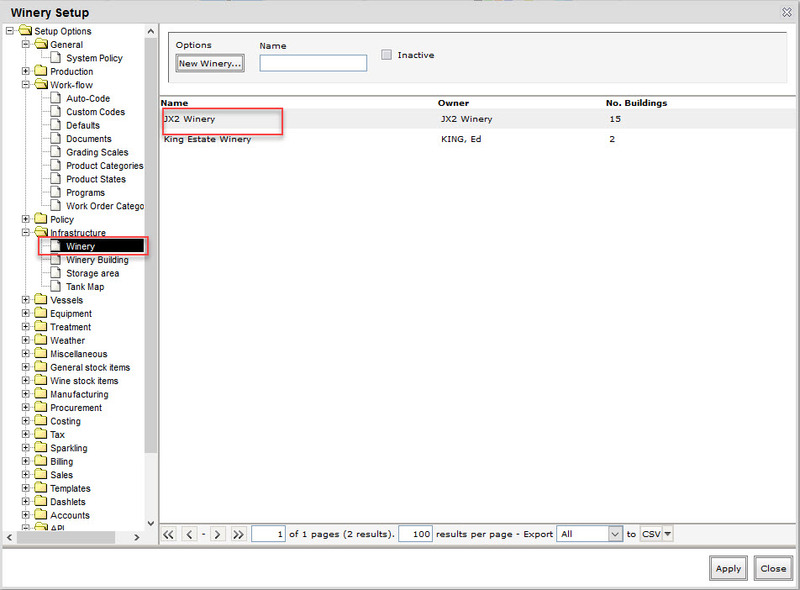 Enter the Vend SKU of the product you want to sync then hit [ENTER] key, then select a Revenue account to link to your vintrace sales orders generated from Vend sales. Make sure that the Sync to Vend checkbox is ticked and then click on Save. If there are multiple products with the same SKU in Vend, you will be prompted to select which product to link the stock item. Select the correct product and then click on OK button. View the stock item again and you should be able to see a View in Vend link beside the SKU. Clicking on this link will open the product in Vend. The sales orders in vintrace that are generated from Vend will be auto created everyday at 4:00AM and they are grouped per day per customer per winery.